Harmful algae blooms (HAB) are the sudden proliferation of one or more species of microscopic plants (algae or phytoplankton), which live in the ocean and produce neurotoxins that can cause negative and sometimes fatal effects in fish, birds, marine mammals, and even humans. There are approximately 85 species of aquatic plants that can cause harmful algae blooms. 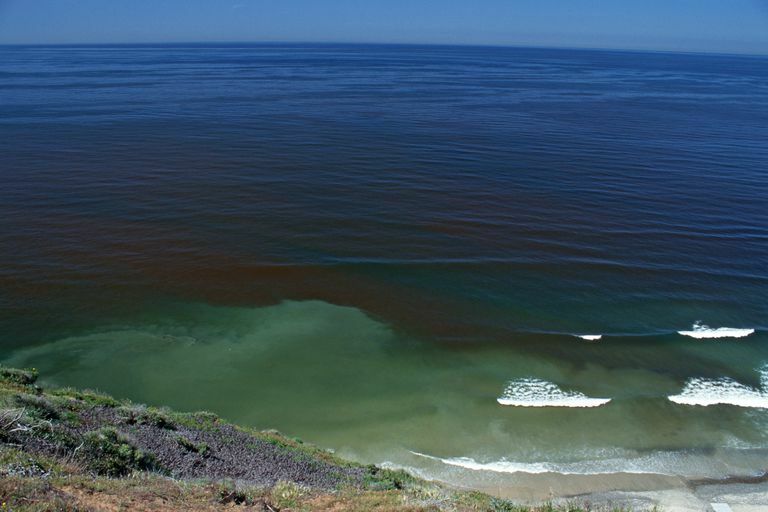 In high concentrations, some HAB species can turn the water a reddish color, which is the source of the name "red tide." Other species can turn the water green, brown, or purple, while others, although highly toxic, do not discolor the water at all. Most species of algae or phytoplankton are beneficial, not harmful. They are essential elements in the foundation of the global food chain. Without them, higher life forms, including humans, would not exist and could not survive. Red tides are caused by the rapid multiplication of dinoflagellates, a type of phytoplankton. There is no single cause of red tides or other harmful algae blooms, though abundant nutrients must be present in sea water to support the explosive growth of dinoflagellates. A common source of nutrients is water pollution. Scientists generally believe that coastal pollution from human sewage, agricultural runoff, and other sources contributes to red tides, along with rising ocean temperatures. On the Pacific coast of the United States, for example, red tide occurrences have been increasing since about 1991. Scientists have correlated the increase of Pacific red tides, and other harmful algae blooms with a rise in ocean temperature of approximately one degree Celsius as well as increased nutrients in coastal waters from sewage and fertilizers. On the other hand, red tides and harmful algae blooms sometimes occur where there is no apparent link to human activity. Another way nutrients are brought to surface waters is by powerful, deep currents along coastlines. These currents, called upwellings, come from nutrient-rich bottom layers of the ocean and bring to the surface massive amounts of deep-water minerals and other nutrients. It appears that wind-driven, near-coast upwelling events are more likely to bring the right types of nutrients to cause large-scale harmful blooms, while current-generated, offshore upwellings seem to lack some necessary elements. Some red tides and harmful algae blooms along the Pacific coast also have been associated with cyclical El Nino weather patterns, which are influenced by global climate change. Interestingly, it appears that iron deficiencies in sea water may limit the ability of dinoflagellates to take advantage of the abundant nutrients present. In the eastern Gulf of Mexico, off the coast of Florida, and probably elsewhere, large amounts of dust blown west from Africa's Sahara Desert, thousands of miles away, settle on the water during rain events. This dust is believed to contain significant amounts of iron, enough to trigger large red tide events. Most people who become ill from exposure to the toxins in harmful algae do so by eating contaminated seafood, particularly shellfish. However, toxins from some harmful algae can also infect people by spreading through the air. The most common human health problems associated with red tides and other harmful algae blooms are various types of gastrointestinal, respiratory, and neurological disorders. The natural toxins in harmful algae can cause a variety of illnesses. Most develop rapidly after exposure occurs and are characterized by severe symptoms such as diarrhea, vomiting, dizziness, and headaches. Most people recover within a few days, though some illnesses linked to harmful algae blooms can be fatal. Most shellfish filter seawater to collect their food. As they eat, they may consume toxic phytoplankton and accumulate toxins in their flesh, eventually becoming dangerous, even deadly, to fish, birds, animals, and humans. The shellfish themselves are unaffected by the toxins. Harmful algae blooms and subsequent shellfish contamination can cause massive fish kills. The dead fish continue to be health hazards because of the risk that they will be eaten by birds or marine mammals. Red tides and other harmful algae blooms have serious economic as well as health impacts. Coastal communities that rely heavily on tourism often lose millions of dollars when dead fish wash up on beaches, tourists fall ill, or shellfish warnings are issued because of harmful algae blooms. Commercial fishing and shellfish businesses lose income when shellfish beds are closed, or harmful algae toxins contaminate their fish. Charter boat operators are also affected, receiving numerous cancellations even when the waters they typically fish are not affected by the harmful algae blooms. Likewise, tourism, recreation, and other industries may be adversely affected even though they are not directly hurt by the algae. 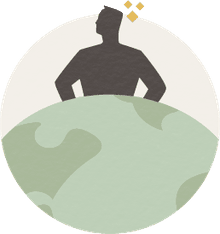 When a bloom is reported, many people grow cautious, even though most water activities are safe during red tides and other harmful algae blooms. Calculating the actual economic cost of red tides and other harmful algae blooms is difficult, and not many figures exist. One study of three harmful algae blooms that took place in the 1970s and 1980s estimated losses of $15 million to $25 million for each of the three red tides. Given the inflation that has occurred in the decades since the cost in today’s dollars would be significantly higher.